To allow users to manage Adaxes configuration objects (Business Units, Scheduled Tasks, Property Patterns, etc. ), they must be granted appropriate permissions. The rights to manage configuration objects, like any other rights in Adaxes, are granted with the help of Security Roles. 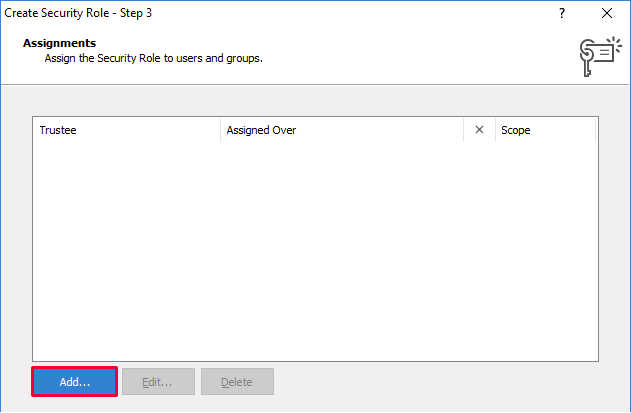 In this tutorial, you will learn how to create and assign a Security Role to grant users the ability to create and modify Business Units. 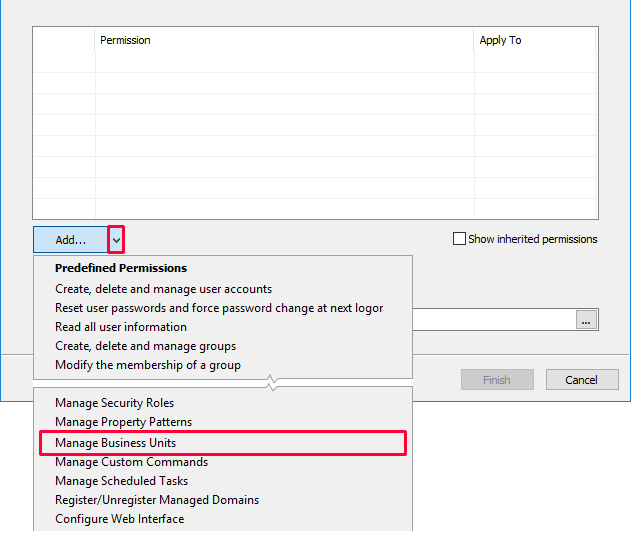 On the Permissions page, click the arrow inside the Add button and select Manage Business Units. Click Configuration Objects and then click OK.
For instructions on how to create a Business Unit, see Create Business Unit.